Why is it that we know more about the origin and flavor of the coffee beans in our cup of morning brew than about the steak on our dinner table? Why do we delight in the differences between a Zinfandel and a Cabernet, but not even know that breeds like Belted Galloway or Murray Grey exist? For too long, beef in America has been relegated to commodity status, an homogenous product of an industrial supply chain whose every trait—color, texture, and even the cow’s diet—is dictated by a tiny number of gigantic corporations. But a craft beef revolution is underway on farms, in butcher shops, and at restaurants across the country, and it’s delivering better steak. — Focused on unique flavors we forgot could even exist in steak. 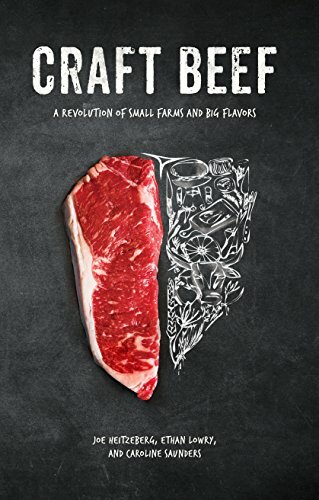 Follow Crowd Cow’s Lowry, Heitzeberg, and Saunders as they meet the farmers, butchers, and chefs making the craft beef revolution possible, and along the way, learn how to become a craft beef connoisseur yourself.